WATCH: All-electric Jaguar I-Pace goes the distance - Joburg to Durban without using a drop of petrol! Jaguar has revealed pricing for the upcoming I-Pace in South Africa. The all-electric SUV will be available in three trim grades including S, SE and HSE, while a limited run of First Edition models will act as range-toppers for one year only. All variants come with identical powertrains comprising a 90kWh battery positioned in the floor for a low centre of gravity, and two axle-mounted synchronous electric motors paired with concentric single speed transmissions. Its 294kW/696Nm peak power is enough to launch the all-wheel-drive SUV from 0-100km/h in 4.8 seconds, and a single full charge provides a range of up to 470km on the WLTP cycle – more than enough to cover the average weekly commute of 300km. 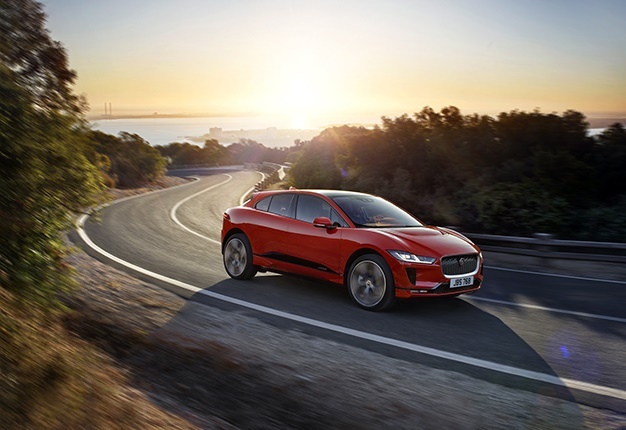 The I-Pace First Edition is based on the HSE trim grade but adds 20" split spoke alloy wheels with Technical Grey finish, Matrix LED headlights, fixed panoramic roof, heated windscreen, heated steering wheel, Activity Key, Active Air Suspension, metal treadplates with First Edition branding, and configurable ambient interior lighting. Inspired by the concept version, the First Edition specification also includes special Photon Red paint and a choice of Ebony or Light Oyster interior colourways in combination with suedecloth headlining and Gloss Charcoal Ash veneer. It will be available for one year only. * Pricing for Home Charging Stations will be announced closer to time of launch in early 2019. Home charging cables compatible with normal wall sockets come as standard equipment.